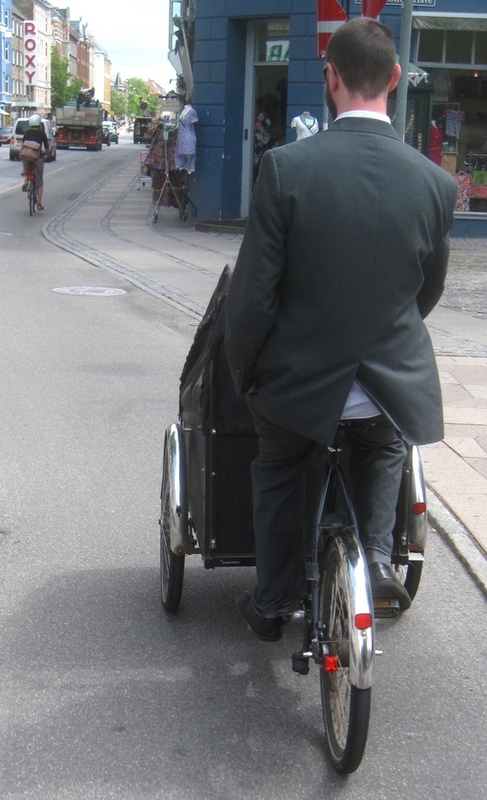 The Christiania tricycle is so easy to steer, that all you need is one finger. The back-pedal brake allows one to just use the right index finger on the handlebar. Naturally, if you are going downhill at speed, a steadier grip is needed. Photo by Copenhagen Cycle Chic.